Analysts who thought Monday's drop in crude prices was a temporary stall in an otherwise predictable upward trajectory were proven correct on Tuesday, when traders resumed their normal stance of being fearful of tightening global supply and caused a 1 percent hike in prices. 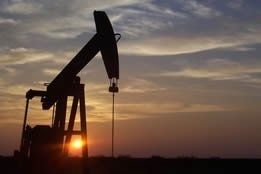 Fighting in Libya and falling exports from Venezuela and Iran on Tuesday led to West Texas Intermediate crude settling 65 cents higher at $64.05 (a more than 1 percent rise on the day), while Brent rose 54 cents to $71.72 per barrel. Norbert Ruecker, head of macro and commodities research at Julius Baer, remarked, "With the many supply threats, the market mood turns more bullish by the day and this should support prices over the coming weeks." Jim Ritterbusch, president of Ritterbusch and Associates, expressed the same sentiment in a note: "We are still viewing the price consolidation of the past week as a pause in a sustainable bull market in which fresh highs still represent a strong possibility." But in a market where worry and fear remain constant regardless of any fundamental developments, some analysts are beginning to criticize the effectiveness of the Organization of the Petroleum Exporting Countries (OPEC) in curbing market supply via its production cuts. Ed Morse, head of commodities research at Citigroup Inc., said on Tuesday, "It appears that the producer group is over-tightening the market," in reference to global oil inventories contracting by almost 1 million barrels per day if the cartel continues its cutbacks. Harry Tchilinguirian, head of commodity markets strategy at BNP Paribas SA, said that this combined with geopolitical tension could easily result in prices escalating to $80, and if that were to happen then U.S. president Donald Trump "will voice his concern." The trouble with OPEC, according to Derek Brower, a director at consultant RS Energy Group, is that while it "has been very good lately at getting the market moving in the direction it wants," it is "less good at steering the market once it nears the destination. "It's never really understood when to call time on a rally for its own good." But all this talk may be for naught if rumblings from Russia are anything to go by: Vadim Yakovlev, first deputy CEO of Gazprom Neft, told media on Tuesday that he expects the OPEC cutbacks to end in the first half of this year: "In that case, our oil production will be higher by around 1.5 percent from last year." The first deputy's remarks came on the heels of those made earlier this week by Anton Siluanov, finance minister for Russia, who stated that his country and OPEC may decide to boost production to fight for market share with the U.S. - but that this would push oil as low as $40 per barrel.